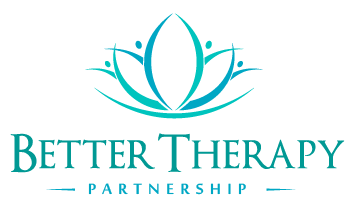 Better Therapy prides itself on offering the highest quality psychological therapies. See what others have said about our clinicians below. "I have been utterly amazed and relieved at the transformation I have seen in my attitude and relationship to food, as well as myself, others, and my body... I've now reached a stage where I feel so much happier and calmer". "I don't have enough words to express my gratitude. You have saved my life and, better still, you have shown me how fun life can be". "In all my “therapy career” I have never met someone that has so much compassion and the ability to be so real". "You made me feel safe and comfortable enough to be truly honest with myself and for that I thank you so much". "Our sessions have not only had a positive impact on me, but also improved my relationships with others. I know I have further to go but I am on the right path". "I feel so much better and feel healthier. My family and friends have all noticed it... I never really knew how it felt to feel energised and able to do things without feeling weak. Now I feel a different way and full of energy". "I found your approach to therapy very refreshing. I especially appreciated the fact that you were not patronising in your views, opinions and you constantly challenged my thoughts/perspectives". "You have never given up on me... I feel strong enough to continue for the future". 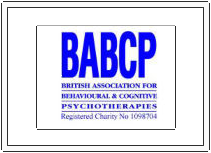 "Thank you for all your support and advice over the time we have been meeting. You have really helped me to be aware of negative and destructive thoughts as well as challenging them and putting things into perspective". "I really appreciate all the help, support and advice you’ve given me to find the motivation to get this far. It was only a few weeks ago that I didn’t think I could get to where I am now... I have everything I need to keep going. Thank you for everything". "I do not think anyone has taken me this far in understanding my life's traumas". "Thank you for helping me believe that recovery is possible!" "I feel far more confident to move forwards... You have given me an insight into my true self and for that I am truly thankful". "I have found your input invaluable. Thank you for your time and patience in my recovery journey". "Words cannot express how grateful I am to have met you to fight this internal (and external) battle with". "Treatment has been very helpful and has made the world of difference to me and my family. Now I'm truly hopeful about my future". "The encouragement, dedication, creativity, and support I have received has been fantastic. Thank you".